Brisbane snake catchers is a 24 hour 7 day a week snake removal service servicing all suburbs of Brisbane, Ipswich, Logan and the Gold Coast. All Brisbane north and south suburbs are included with the Moreton Shire Council area covered as well. We have an extensive network of catchers with long term snake catcher experience around Brisbane and the Gold Coast. Having serviced the region for over 20 years our experience is both comprehensive and dependable. If it’s a Carpet Python, Eastern Brown Snake, Common Tree Snake, Yellow faced Whip Snake or Red-belied Black Snake we have successfully caught it and every other species within the area. Our team consists of dedicated catchers for each location with our snake catcher Brisbane and Ipswich response team consisting of three catchers. 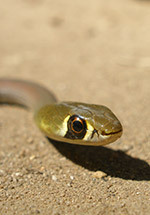 Our snake catcher Gold Coast and Logan team also has three catchers ready for your call. From The Gap to Logan, Pinkenba to Ipswich, Gold Coast to Dayboro, we’ve got you covered. 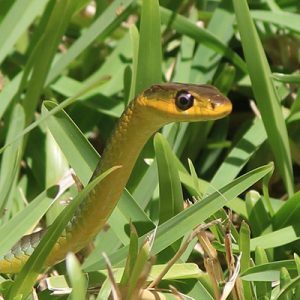 If its affordable snake removal you want, professional advice and dependable snake identification then call us at Brisbane snake catcher for rapid friendly service. Why should I use a snake catcher? Under the Nature & Conservation Act 1992, it is an offence to interfere with a protected animal, including snakes. Only properly licensed persons are allowed to catch snakes. Also, it is extremely dangerous and not worth the risk to yourself or your family. How much does it cost to have a snake removed? Prices vary but is not as much as a vet bill or your time in hospital. Is there a free snake removal service available? Unfortunately no. Councils and Parks and Wildlife do not provide a free snake removal service. Our fees are not that expensive to ensure the safety of your family and pets. Brisbane snake catcher provides snake catchers for every suburb of the greater Brisbane region and beyond. With catchers well placed to service you promptly you can be sure we will attend your issue fast. All areas of Brisbane City Council are covered such as Ashgrove, Bardon and Chapel Hill to the west, Everton Park, Chermside and Nudgee to the north and Carindale, Holland Park and Sunnybank to the south including all surrounding and inner suburbs. 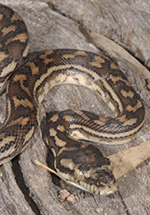 We look forward to providing to Brisbane snake removal services that are punctual, affordable and dependable. 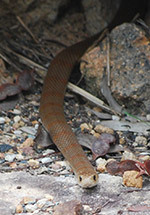 Call 0421 455 077 for immediate Brisbane snake catcher assistance. Snake Catcher Logan provides a Logan snake catcher PH: 0421 455 077 for all snake removal Logan and surrounding localities. The following list includes those suburbs covered by our 24 hr 7 day service. Having service the region for the past 20 + years we are not only highly experienced snake removal specialists but have an understanding of the natural history and subsequent habits of all local species. This results in us having a high success rate with the recovery of snakes in suburban areas. Snake Catcher Gold Coast provides a Gold Coast snake catcher PH: 0418 738 228 for all snake removal Gold Coast and surrounding localities. The following list includes those suburbs covered by our 24 hr 7 day service. Having service the region for the past 20 + years we are not only highly experienced snake removal specialists but have an understanding of the natural history and subsequent habits of all local species. This results in us having a high success rate with the recovery of snakes in suburban areas.